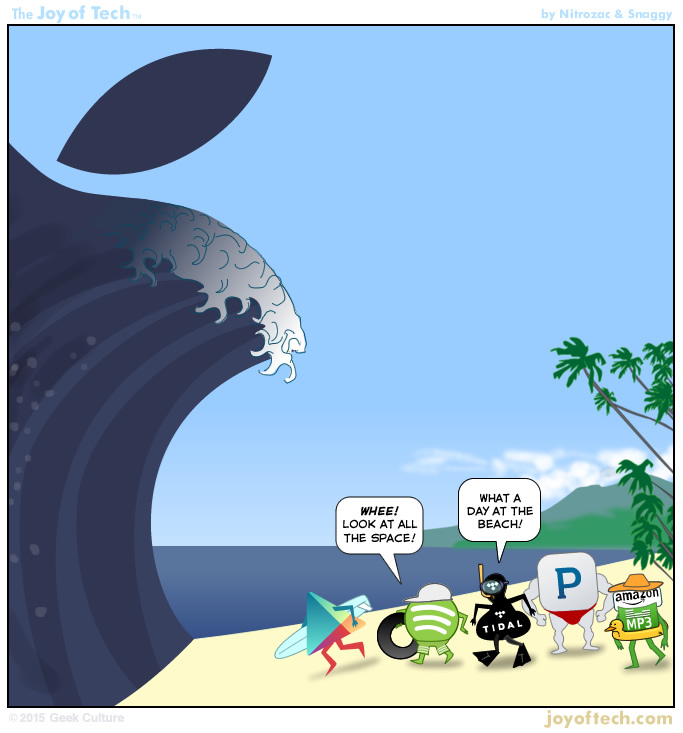 The Joy of Tech comic… The coming wave. Does streaming music knock you over? Yes, I love streaming music! I love it, but don't want to pay for it. Nah, I just pirate anything I want. I actually prefer to own my music, that way I always have it. I prefer to make my own music! Today's comic is brought to you by Shooshie and also by George! Thanks guys, you are awesome! Help create some girl geeks!